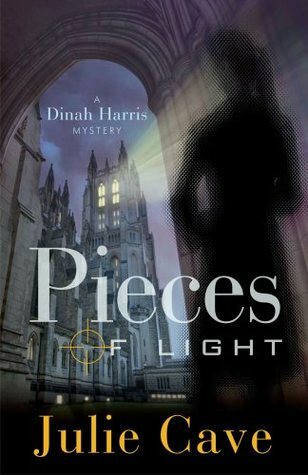 Pieces of Light is the 3rd and final book in the Dinah Harris series. Though this book can be read alone I feel it helps to have read at least the first book where you can see Dinah‘s journey to Christ more clearly. She was an FBI agent who lost her job due to alcoholism. Now a freelance crime consultant Dinah has her life back on track and is serious about being in relationship with Christ. A bomber is targeting churches with homemade bombs and Dinah is hired to help her former FBI partner David Ferguson, and a bomb expert Aaron Sinclair, to try to piece together the puzzle and find the bomber. Intertwined in the story is a family devastated by domestic violence and the adult children who are still feeling the effects. The story line vacillates between the current time when the bomber is jailed and discussing his thoughts to ‘one year earlier’ where he is planning the bombings. There are subplots in the story, Dinah having feelings for Aaron Sinclair, the first man since her husband’s death and the newness of being a Christian in a possible relationship with an unbeliever. We have the US senator, Winters, making his showing in this novel, again trying to rid the world of Christians and promoting the separation of church and state. This novel was busy. I enjoyed it and it kept my interest and the pages turning, but in some sense there seemed to be too many themes running their gamete in just one novel. Having read the whole series I loved seeing Dinah grow in her relationship with Christ and in her own personal forgiveness of herself. I loved the references to the Creation Museum and The Ark Experience that is being built as that is in my ‘backyard’. Looking forward to more books by Julie Cave in the future.